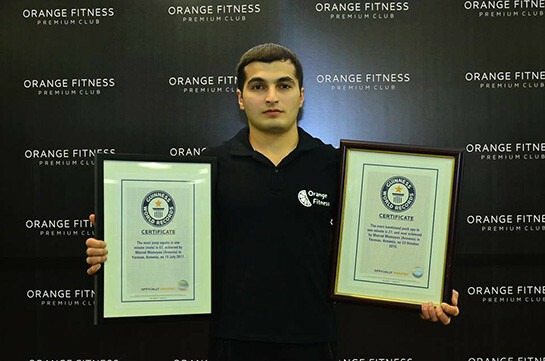 26-year-old athlete Manvel Mamoyan has set goals for Guinness World Records. At the moment, he is actively working on a completely new tiger band push-ups exercise to set another record. 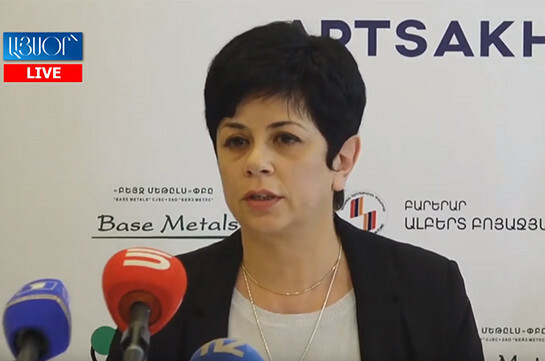 The Athlete was registered in the Armenian "Dyutsaznagirk", and then became Guinness Book of Records holder, but Manvel is not going to be limited to that. His goal is to become an absolute record holder. I will try to become the author of 10 records this year at any cost, "-Mamoyan says. Manvel Mamoyan was engaged in sports at the age of 10, at the beginning he studied judo and then shifted to Greco-Roman wrestling. At the age of 17, Manvel set 11 records in Armenia. The first record in "Dyutsaznagirk" was set for the sit ups. Currently, the athlete is doing lots of activities in the Russian Federation. He and multi-record holder Aharon Virabyan have established a Danger Workout team in in Moscow to organize various sport events and develop street workout. Gradually the team will reinforce with strong athletes. In parallel, he works as a fitness blogger and shares his advice with many people and creating an interest in sports via his website www.manvelammoyan.com . He frequently motivates and inspires people via his videos. Mamoyan adds that his goal is to become an absolute record holder of the Guinness World Records. It will take about 10 years to achieve. In 2019, he has already sent 5 records in the Guinness Book Commission for a month, including abdominal plank with a 100 pound bag. One man succeeded to set maximum 191 records. Manvel is convinced that he can achieve this goal and set more records. On October 23, 2015 two years after the end of the military service, Manvel set a Guinness record in Armenia. He is the author of more than 20 recordings in Armenia and became a Guinness World Records holder three times. He noted that it wasn’t easy to become the holder of the Guinness World Records. The initial attempts were unsuccessful, as some mistakes were made, but the athlete managed to overcome everything and register new victories. "I dedicated my first record to the victims of the victims of the Genocide and the other one to the memory of the heroes of the April war. With such a step, I can tackle these important issues in the international press. Whenever a record is recorded, the media mentions it and provides details about the record. That's what my goal is in this case, "- Manvel Mamoyan says.